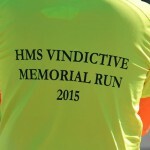 Last saturday I ran the HMS Vindictive Memorial Run. Early in 1918 she was fitted out for the Zeebrugge Raid. 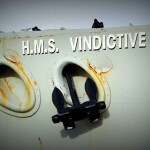 Most of her guns were replaced by howitzers, flame-throwers and mortars. On 23 April 1918 she was in fierce action at Zeebrugge when she went alongside the mole, and her upperworks were badly damaged by gunfire, her Captain, Alfred Carpenter was awarded a Victoria Cross for his actions during the raid. This event was famously painted by Charles de Lacy, the painting hangs in the Britannia Royal Naval College. As I am from Zeebrugge this is a nice way to commemorate the 100 year war. 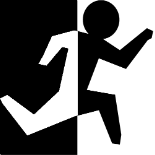 I call it a race recap, yet it actually is what the name says it is, a memorial run. We had a bib, but no chip, no timings were kept. 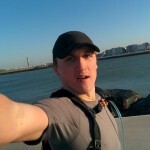 We ran from Zeebrugge to Oostende which is about 25km and it’s nice to run in one direction for a change. 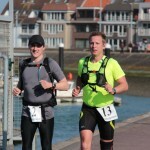 It’s the second time this run is held and last year we had a strong headwind, which made it very heavy. This year there was a lot of wind as well, but we had it in our back, so this helped a lot. 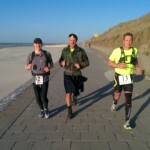 There was a man who ran the whole way in an army vest and combat boots. Respect² for him. In the end we had to return our bib and got €2 back, which we could donate to the Marine Cadets (which I obviously did), so it’s a nice way to sponsor Great War related causes while actually having fun. Do you race for the first great war?